What does DUI mean in Utah? There are two forms of DUI (Driving Under the Influence) charge in the State of Utah. Under Utah’s basic DUI law, a person may not operate or be in actual physical control of a vehicle while having a blood or breath alcohol content of .08 or greater or while under the influence of drugs (including prescription drugs), alcohol, or a combination of the two to a degree that renders the person incapable of safely operating a vehicle. Utah also has a “metabolite” DUI law that makes it a crime for any person to operate or be in actual physical control of a vehicle while having any active or inactive drug metabolite in their body. Despite having different elements of the crime, both offenses are treated virtually the same for driver license suspension, conviction, and penalty purposes. See Utah Code Annotated § 41-6-44(2). How serious is a DUI in Utah? Utah laws are some of the strictest in the country when it comes to alcohol-related crimes. Even your first DUI carries harsh penalties, including potential loss of driving privileges, expensive fines, and mandatory counseling. Your third DUI in Utah within a ten-year time period is a felony charge in Utah. See the DUI Penalties chart for a more detailed look at potential penalties from a DUI. DUI in Utah can range from a Class B Misdemeanor to a Felony. There are prescribed penalties for DUI in Utah that can include fines, mandatory jail time, drug and alcohol testing, community service, driver license restrictions, counselling, mandatory life skills classes, ignition interlock, probation, and more. Click here to learn more about this topic. Do you automatically lose your driver's license after a DUI? Not necessarily. You have 10 calendar days from the date of arrest to request a driver’s license hearing with the Driver License Division (DLD). This civil hearing will allow you to plead your case to retain your driving privileges. It is helpful to have an experienced attorney representing you even at this early stage in your case. Call our office to have one of our paralegals help you file this request free of charge, or fill out the State’s form located here. If you fail to file in time, your license will be automatically suspended for 90 days to two years, with no option for a limited work permit and no chance to appeal. Visit our Save Your License page to learn how you can request a Driver’s License Hearing to preserve your driving privileges. Can I get a work permit to drive to work or school after a DUI arrest? NO – not in Utah! Utah law does not allow DUI offenders to obtain a restricted license to and from work or school. If you are caught driving—for any reason—during the suspension period, your suspension time will be doubled, and you will be charged with Driving on Suspension, a Class B Misdemeanor. What is the DUI defense process? The process of defending a DUI in Utah can be complicated. There are a few different options and several steps to the criminal process, but you also have the civil driver license defense of your driving privileges to consider. Click here to read more about the steps in the process. The Utah Legislature has seriously restricted the ability to plea bargain a DUI case and avoid consequences. As such, in order to get a good result in a DUI case, it is important to hire an experienced and aggressive attorney who focuses on DUI cases and can identify and raise any available defenses and motions in order to get a better plea bargain or get the case dismissed. Not every DUI case can be won, but many can. The first basis for challenging a DUI case is with Motions to Suppress. Motions to Suppress are legal arguments to the judge asking that certain evidence—sometimes all evidence—be excluded from court. Our firm maintains an extensive brief bank containing motions to suppress for many different scenarios and fact patterns, and we are constantly looking to expand the arguments for new and differing fact patterns. Winning some of these motions can result in a full dismissal of the case, while others just eliminate evidence, which results in more lenient plea bargains or better cases to take to jury trial. All these arguments depend on the specific facts and evidence of your individual case; therefore, we investigate every case thoroughly, obtaining in-car and in-station videotapes, dispatch recordings, breath testing machine calibration and maintenance records, blood and urine test lab files, medical records, accident reports and reconstruction, the arresting officer’s training records, officer training materials as well as on-scene investigations. If the case is not dismissed or reduced to the client’s satisfaction, we will have already prepared the case for trial. The vast majority of the DUI cases tried by our firm are tried before a jury. Some attorneys are convinced that a DUI case cannot be won before a Utah jury, but that is not true. Our attorneys have obtained not guilty verdicts in many cases, including refusals, poor results on a blood or breath test, and cases involving accidents. The key to successful jury trials is investigation, preparation, and presentation. Clearly not every case goes to trial, but the attorneys at Schatz, Anderson & Associates are not afraid to take even the most difficult cases to trial and will provide you with your best chance for a NOT GUILTY verdict. How long will my license be suspended after a DUI arrest? Utah DUI Driver’s License Suspensions are some of the harshest in the country. The length of the suspension depends on your prior driving history and whether or not you submitted to a chemical test. – If it is your first DUI offense in 10 years and you did submit to a blood, breath, or urine test as requested by the officer, your license can be suspended for 120 days and you will be statutorily classified as an Alcohol Restricted Driver for 2 years. – If it is a second or subsequent DUI offense in 10 years and you did submit to a blood, breath, or urine test as requested by the officer, your license can be suspended for 2 years and you will be statutorily classified as an Interlock Restricted Driver for 10 years. – If it is your first DUI offense in 10 years and you refused to submit to a blood, breath, or urine test as requested by the officer, your license can be suspended for 18 months and you will be statutorily classified as an Alcohol Restricted Driver for 5 years and classified as an Interlock Restricted Driver for a minimum of 3 years. – If it is your second or subsequent DUI offense in 10 years and you refused to submit to a blood, breath or urine test as requested by the officer, your license can be suspended for 3 years. What if I have an out-of-state driver's license? Even if you have an out-of-state driver license, but get arrested for a DUI within Utah, your driving privileges can still be suspended in the State of Utah by the Utah Driver’s License Division (DLD). Therefore, you will not be able to drive in the State of Utah. Further, the Utah DLD will post the suspension information on a nationwide database shared by the many states’ DLD’s, which may also result in a suspension of your driver license in your home state. This would mean that you could not legally drive in any state. An out-of-state DUI arrest can happen while you’re on vacation in Utah or even if you’re passing through the state on a road trip. If you find yourself in this situation, learn more about how Schatz, Anderson & Associates can help defend your out-of-state DUI case. Can a DUI arrest affect my job? Unlike some other states, Utah law does not provide for the option of a work permit or limited driving privilege if your license is suspended for a DUI or a drug- or alcohol-related offense. Not even on a first offense! If you are caught driving while your license is suspended, you will be charged with a Class B Misdemeanor for Driving on Suspension While Drug or Alcohol Revoked, which has the same potential penalties as a DUI. And your suspension will be doubled the first time and an additional year added for each subsequent offense. Read about several other licensed professions monitored by DOPL that are also affected by DUI and criminal charges. In short, many companies will not hire individuals with a criminal record. Don’t risk your job over a DUI! Our DUI attorneys in Utah will fight on your behalf to preserve your professional license. Call today to schedule a free consultation! How could I get a DUI when I wasn't even driving? Although there is not one controlling factor in the State of Utah, things such as proximity to a vehicle and the ability to drive (such as possession of keys) while intoxicated are relevant to a judge or juries and could put you at risk for a DUI arrest. Learn more about actual physical control issues here. Can I choose which test I take when stopped for a DUI? If you are arrested or cited for DUI in Utah, the arresting officer gets to choose which chemical test you take, and you do not have the right to speak to an attorney before taking a test. If you refuse the chemical test, your license can be suspended for 18 months to two years, and you will be required to have an expensive and restrictive ignition interlock device in your car for a minimum of three years. Know your rights! Learn more here. How can I fight a felony DUI upgrade? In Utah, a DUI can be charged as a Third Degree Felony punishable by 0-5 years in prison if the driver has 2 or more convictions for DUI or Alcohol- or Drug-Related Reckless Driving within 10 years of committing the third offense. Even similar out of state convictions or cases dismissed as a result of a deferred sentence or plea in abeyance can be used to enhance a current DUI offense. Although we cannot go back and defend the old cases, we can challenge whether the prior convictions can be used against you to upgrade your current offense. The prior convictions can be challenged on the basis of improper documentation, lack of counsel, improper waiver of defense counsel at the time of the prior plea, and whether the prior plea was a knowing and voluntary plea. In order to raise such a challenge, our attorneys thoroughly review all prior convictions, including obtaining entire copies of any previous court files and copies of audio or video recordings of prior plea hearings, and even interviewing prior attorneys and witnesses to the plea in order to look for critical errors that may prevent the use of a prior conviction for enhancement purposes. Although some pleas are entered properly, many are not, and our attorneys have had tremendous success getting felony DUIs reduced to misdemeanors. How many DUI arrests does Utah have each year? There are approximately 14,000 DUI arrests in Utah each year. (Read more about the stats and trends here.) The majority of those arrests result in convictions, but not everyone arrested for DUI is guilty. A DUI conviction can affect your driving privileges, your car insurance rates, your employment, and most important, your freedom. Don’t become another statistic! Let us fight for you. What is the criminal defense process in Utah? What are the collateral consequences of having a criminal charge? A criminal charge can affect your life in ways you may not have thought of. Even a first offense can prevent or significantly hamper you from getting or keeping a job, getting or keeping a driver’s license, running for a political office, joining the armed forces, renting a car, to name a few consequences. Click here to read about other potential consequences. Why choose an attorney from Schatz, Anderson & Associates? When hiring a Utah criminal defense or DUI attorney, you have a lot of choices. Utah has two major law schools, which produce a lot of young, inexperienced attorneys each year. Many of these attorneys choose to practice alone or start their own small firms. They charge low fees to entice clients who don’t mind that they don’t yet have a lot of experience with their case type or the best practices and processes of law enforcement and other agencies, prosecutors, courts, or judges. Some rent a small space in another law firm; some simply have “virtual” offices, using their cell phones, fancy websites, technology, and other means to create the illusion of being more established. But they often don’t have support staff, adequate technology, or other experienced attorneys to assist them. Do you really want your future in those hands? Probably not. You want an attorney who is experienced, established, and respected in the field. You also want him or her to have qualified, experienced support staff and assisting counsel; technology and equipment to communicate and perform the job optimally; and a convenient physical location for meeting and focusing on your case. You need someone who will communicate with you when you have questions or progression in your case, who will advise you expertly, and who will care about helping you get the best results for your case. 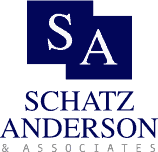 Put simply, you want Schatz, Anderson & Associates. How much will you charge to defend my case? Only an attorney can quote prices for taking a case, and every case is different. You can meet with one of our attorneys, either in person or over the telephone, to discuss your case and receive a quote. The initial consultation is free of charge, and our attorneys charge a flat-fee, so you know up front what your defense will cost. We work hard to help you receive the best results on your case. Whatever the cost, it will be worth it for the valuable representation you receive. Click here to see what our many satisfied clients are saying. Can I still hire an SAA attorney if I don't live in Salt Lake City? YES! We cover cases for charges in any part of the State of Utah, and we represent clients who live all over the country and even some who don’t live in the United States. While it is generally best to meet with an attorney in person, we recognize that this is not always possible. We can conduct client consultations remotely over the telephone and through faxes and email. Discuss your case with one of our attorneys to learn if travel will be necessary for either you or your attorney. We are located near downtown Salt Lake City. Driving directions are located on our Contact Us page. Note that just because we are located in Salt Lake does not mean we only represent cases from the Salt Lake area. We actually represent cases all over the State of Utah, and some of our clients are from out of town but have charges in Utah courts. We can conduct most business using telephones, fax, email, and other digital technology, and we can travel to court locations as necessary. If you are convicted of an alcohol- or drug-related driving offense in the State of Utah, you cannot apply to have the conviction expunged from your criminal record for at least 10 years after your probation has been terminated (probation for a misdemeanor drug offense is typically 12 months from the date of sentencing and 36 months for a felony). Similarly, a conviction for ad¬mini¬strative suspension as a result of a DUI arrest will stay on your driver history for a minimum of 10 years, causing increased auto insurance rates.